As we prepare for our upcoming show OZ – The Ballet, the excitement is palpable at The Lewis Foundation of Classical Ballet. 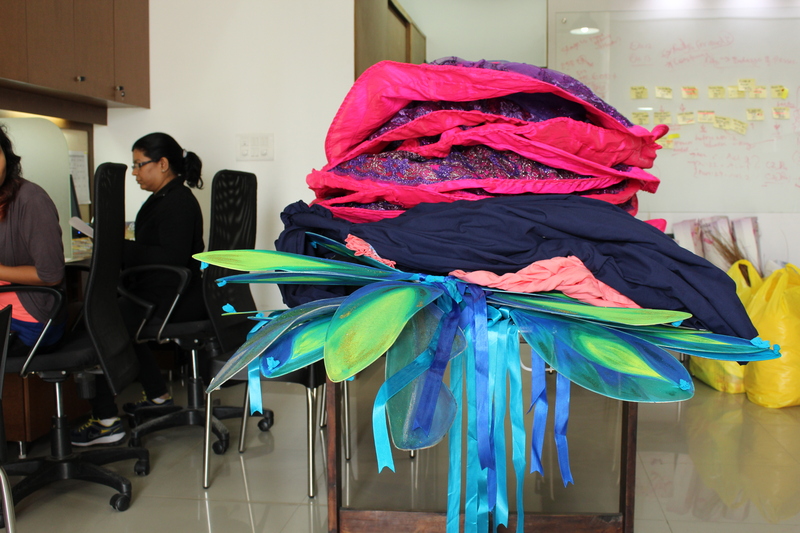 Signs of this will be obvious to anyone who walks into our office, especially when your eye catches the pink tutus stacked on the centre table. Ballet costumes are essential for any show. Every time a set of costumes arrives, we gather around to check on it.This might sound like a little bit of exaggeration, but my mind always automatically switches to ‘alert’ mood when I am near them. Seeing these costumes, sitting precariously as if they have already learnt to balance themselves like dancers en pointe, I realise even the slightest movement over the table could pose a threat. Costumes in ballet play a huge role in bringing out the essence of a ballet performance. Just as ballet evolved as a dance form over the centuries, changes were also reflected in the costumes.Ballet skirts were a voluminous affair with full-length skirts in the early century in the courts of Renaissance. They were typically made of silk and cotton with elaborate waistline and necklines.But these restricted movements in ballet for dancers. Today, dancers have more freedom with their costumes.Modern dancers keep simplicity and comfort in mind. While the costumes should be tight and fitting, they should also help dancers to stretch easily and do turns and jumps without restrictions. For Oz – The Ballet, based on L.Frank Baum’s novel The Wonderful Wizard of Oz, the costume department designed costumes based on the characters and scenes from the novel.Christina Joseph, our costume designer, said the real challenge is to make costumes represent the ballet world or in her own terms “ballefy the designs”. ” I worked on designs keeping in mind that tutus, tulles and layers are major elements when it comes to ballet. The designs are modified so that dancers are comfortable in their movements “, said Christina. According to her, the toughest design is the ‘Tinman’ character. The look had to be futuristic and he had to look like a robot. A lot of fake leather is used to give the feel of metal. This, perhaps, is a complete contrast to the usual notions associated with ballet, which is more about close-fitting bodices suited to enhance a dancer’s feminity and dance movements. Yana Lewis , our Artistic Director with the tutus. Yana Lewis and Costume Designer Christina at work. Wired tutus with six or more layers of net to provide additional framework are key elements in many costumes for Oz -The Ballet. Props are an important part of the design theme for the ballet production. 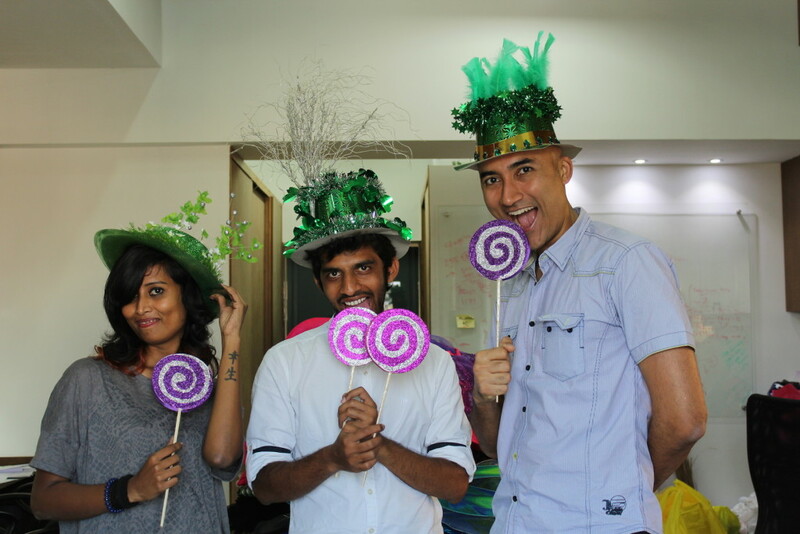 Hand painted wings, glittered lollipops and embellished fedoras (in picture) are some of the creations that would later add depth to the characters in the ballet production. In fact, France’s Louis XIV, who is credited with developing ballet, is recognised by his iconic headgear. Know more about the king and the rise of ballet in this amazing documentary by BBC titled The King Who Invented Ballet: Louis XIV and the Noble Art of Dance here. The work for the costume department just doesn’t end there. These costumes, once ready and collected from the tailoring unit, goes for trials among the dancers and additional fittings are made if any. During costume rehearsals, the artistic team make sure all elements come together and blend well during the show. Come watch our performers take the stage in all its grandeur in these costumes on December 13, 2015 at Dr.B.R.Ambedkar Bhawan, Millers Road, Bangalore. 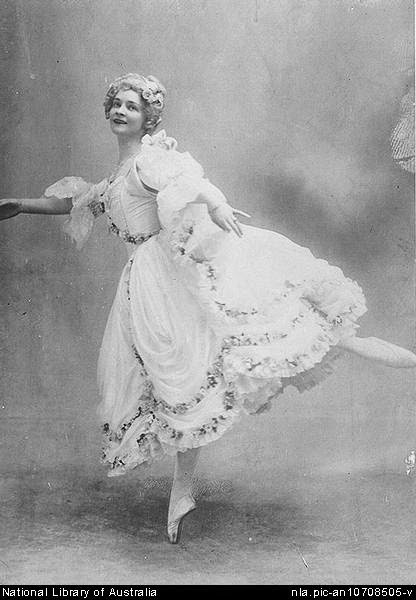 The photo is of Adeline Genée as La Camargo, not, as implied in the text, La Camargo herself.